We also have a fleet of minibuses for hire. From the moment you contact us, we will do everything we can to ensure that your booking and transfer go as smoothly as possible. For more information call please do contact us to find out more about our reliable and affordable airport transfer service to any airport in the UK. Do have a look at our Airport Transfers page for the latest prices. Here is a link to the official Manchester Airport website. 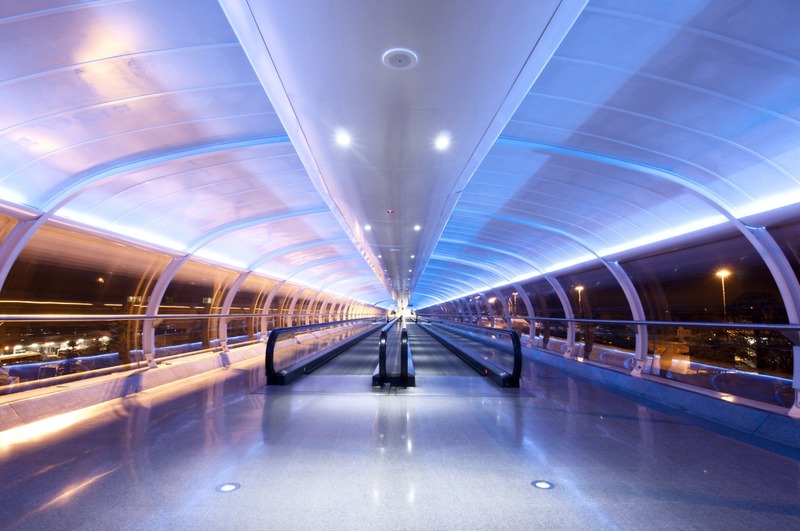 A tunnel linking to Manchester airport terminals taken at night.